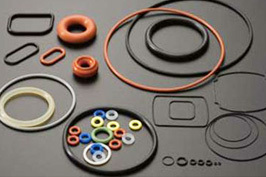 A KEF customer wanted O-ring cost reductions, and received quotations from several other vendors. The customer bought trial O-rings from the vendors, and came back a few months later saying, “I can’t find any other vendor who can make the accuracy that KEF makes”. They still remain a good customer for KEF, and we are very happy to hear from them. Kef makes super high precision O-ring.